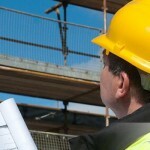 Your accumulated experience in the construction industry is not going to pay for you if you don’t own CSCS cards. For that first you need to certify your skills as well as experience by taking the CSCS test and procure the CSCS certificate. Are you looking to find ways to get your certification? Then, you have a lot of companies who are into this service and to help you and guide you in the process. Get yourself registered online and walk in the path of getting your CSCS clearance.